Length 630mm - 740mm (extended). (3x rail 20mm included - 165mm / 115mm / 65mm). Steel gears (sector with magnet). SAFE - SINGLE SHOT - BURST. SAFE - SINGLE SHOT - BURST 3 SHOTS. SECURE - BURST 3 SHOTS - BURST. SAFE - SINGLE SHOT - SINGLE SHOT. 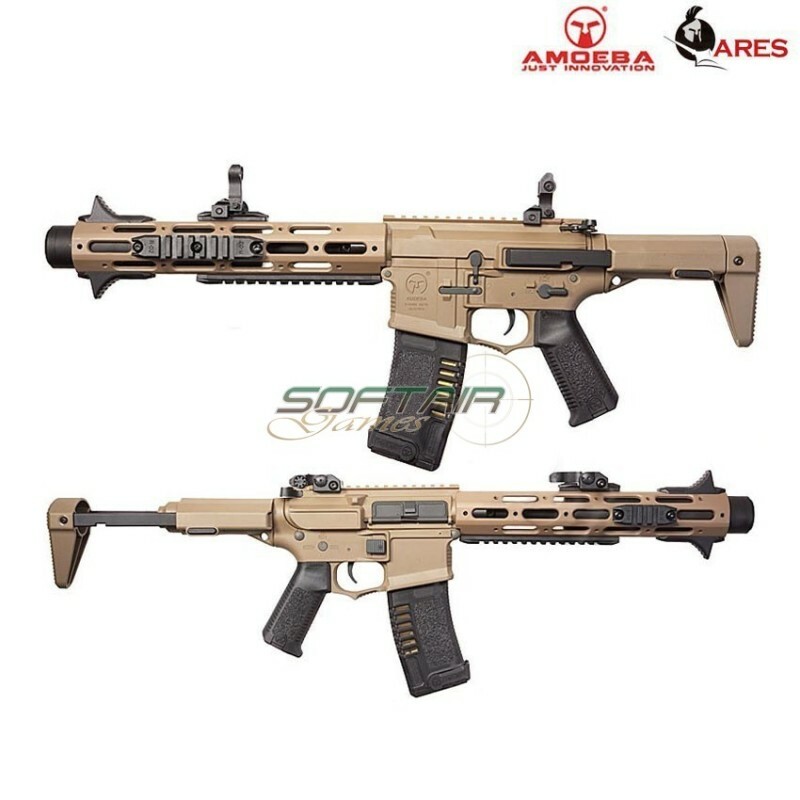 AM-013 assault rifle DARK EARTH.